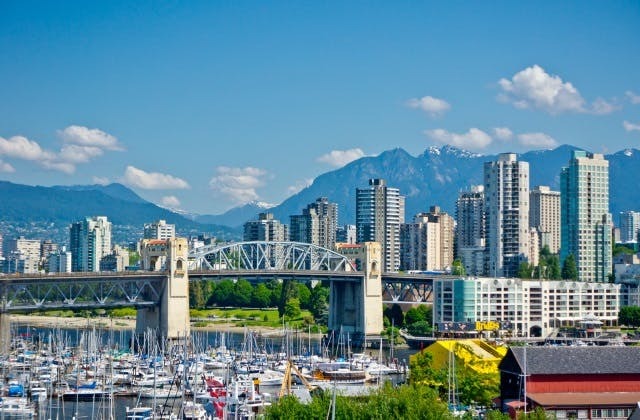 Cheap Flights to Vancouver, Canada. Return Flights. The UTC/GMT offset for Vancouver is -28800. The cheapest flight from Adelaide to Vancouver is $1,618. The closest international airport to Vancouver is Bellingham in United States (USA). The slowest flight to Vancouver is from Townsville flying Qantas Airways, stopping over Brisbane, Sydney. My flights are booked for Vancouver ????????? ?